If you or your parents are 62 or older, you should know about what’s called a reverse mortgage. It’s become popular because it represents a way to turn the equity in a home into tax-free monthly payments. It’s a government insured loan that helps seniors obtain financial independence as the money can be used for almost anything. This would include paying off an existing mortgage (which is required) eliminating credit card debts, paying off medical bills or for just improving your quality of life. The way these loans generally work is that you tell the lender the value of the home, as you understand it. This number is used to calculate your initial loan amount. However, a real estate appraiser will then visit your home to independently determine its value. The amount of the loan will then be recalculated using this information. 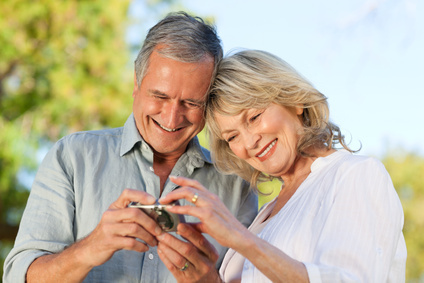 You or your parents could still get a reverse mortgage even if you or they have a mortgage. Assuming you or they would qualify for a reverse mortgage, the money from it will be first used to pay off the current mortgage. You or your parents would then get the remaining money. What happens to your heirs? A reverse mortgage loan is over when the last remaining spouse leaves the house. The home is usually sold and the loan, including fees and interest, is then repaid to the mortgage holder. If there is any equity remaining it goes to you or your heirs. If you have heirs, they can decide to keep the house by paying back the loan by refinancing the reverse mortgage o getting a new one. In the event they choose to sell the house, they will have 12 months to complete the sale. Another important advantage of a reverse mortgage is that it doesn’t require that you provide proof of your income and your credit score doesn’t matter. The mortgage company will pull a credit report on you or your parents but only to see if there are any federal tax liens or other issues that could affect your ability to qualify. However, as you will read in a later paragraph, there are new rules that require borrowers to prove that they will be able to pay their property taxes as well as their living expenses. 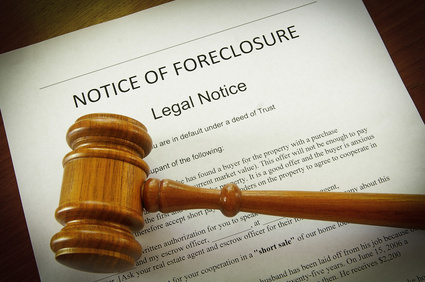 Unfortunately, for a number of years now, senior Americans who found themselves in financial trouble took out reverse mortgages to fix their financial problems – only to find that they either fell even further in debt or became at risk for losing their homes. Numerous people have gotten into trouble with reverse mortgages because they chose to take a lump sum payment and then spent the money too liberally. They then found there wasn’t enough money to cover their insurance, property taxes and bills from their homeowner’s association. This forced them to default on the loan. In last year alone, almost 10% of those with reverse mortgages were in default on their loans and had either lost or were risking the chance they would lose their homes. Last October, there were new rules put into effect that are designed to discourage people from taking a lump sum payment on their reverse mortgages. The way this works is that the amount the borrower receives is reduced when he or she takes the whole amount immediately. In fact, if you or your parents chose this option, the payout might be reduced by 10% to 18% – depending on certain factors. This means that the amount you or they would receive on a $140,000 reverse mortgage could go down to $125,000 or so in the event that you or your parents choose the lump sum pay out. In most cases, it’s better to take a reverse mortgage as monthly payments. This is especially true for those who have longer lives. The reason for this is that even if the payments, including interest, end up exceeding the home’s value, the payments will keep coming. In fact, you would still receive payments if you lived to age 100. It’s important to understand that reverse mortgages can be costly. For one thing, in the case of some loans, there’s an origination fee of 2.5% on the first $200,000 that’s being borrowed. There is also an upfront mortgage insurance fee that’s currently 2% and numerous other fees that can increase those extra costs by as much as $15,000 on a $200,000 loan. Lenders typically add an interest charge every month in addition to a servicing fee that could be as high as $35 a month. And there’s also an FHA annual insurance premium that will be 1.2% of your mortgage’s balance. Given today’s rate of 5% for reverse mortgages, plus the insurance and service charge, a lump sum balance of $100,000 would increase by approximately 6.6% a year meaning that the debt would double to $200,000 in just 11 years. There will be less money for your heirs when the home is sold — whether you die or move out. This is because all those charges described above will count against the residual value of the home. Plus, you or your parents will have to continue paying the property taxes, homeowner’ insurance and any homeowner’s association bills. These are the continuing costs that caused many homeowners to run into problems in the past. And if you or your parents were risking default, you or they would be required to put money into escrow accounts to cover their every day expenses as well as their property taxes. While the new rules have made reverse mortgages safer, there is one serious issue they didn’t address. This is the fact that many couples get a reverse mortgage in the name of whichever of the two is older to get the maximize payout as their benefit is based on the borrower’s life expectancy. For example, a person who is 62 years old might only get a payout of $140,000 on a home valued at $300,00, while a 73 year old would receive $147,000 and a person 82 years old would get $163,000. The really serious danger here is that when the spouse whose name is on the deed either moves into a retirement facility or dies, the lender will take the home and the surviving spouse could be out on the street. One attorney with the AARP said that she had heard from many surviving spouses that had been evicted from their homes and who hadn’t even known that their names weren’t on the deed and didn’t find out until their spouse died. While a reverse mortgage could make good sense for either you or your parents, it’s not something to leap into without performing due diligence first. As you have read, there are interest charges and fees involved in reverse mortgages that could spell trouble down the road. And if you’re not careful, you, your spouse or your surviving parent could end up out in the cold when the lender takes possession of the house.